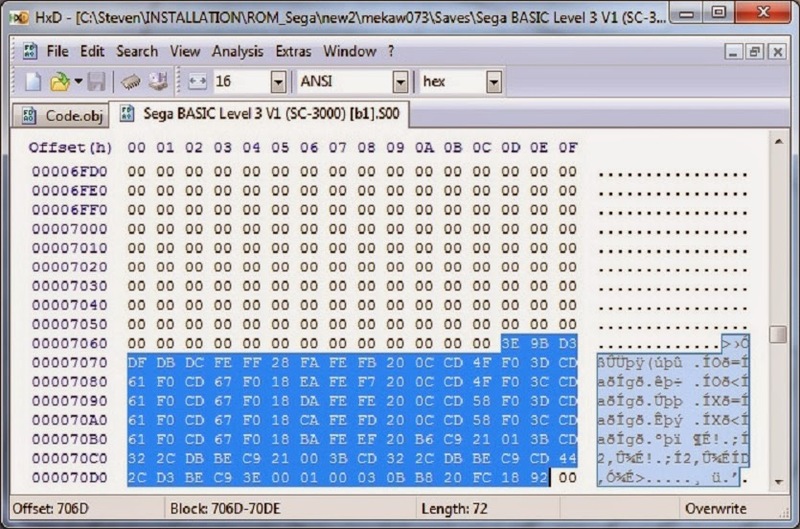 In the previous post, we checked out Sega Machine Code Programming and wrote machine code on a modern-day computer using the Sega emulator Meka and a copy of the Sega BASIC Level 3 ROM. This can be resolved by using assembly language and an assembler to generate machine code routines. Goal: write performance intensive code in assembly language directly and generate the machine code. Note: all machine code generated during this post will commence at 16-bit memory address: &HF000. The program will crash! There are currently no machine code instructions available at address &HF000. 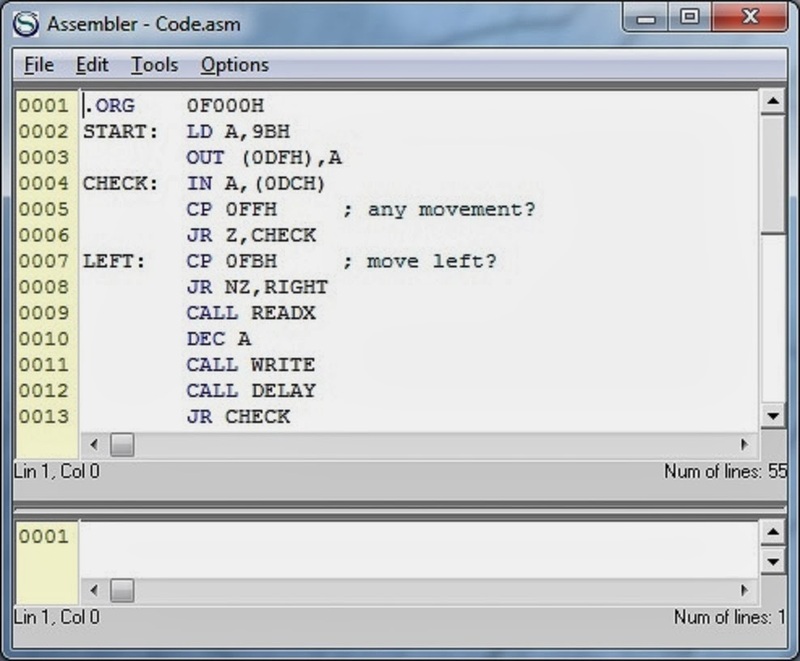 Therefore, install an assembler and write assembly language directly to generate the machine code. 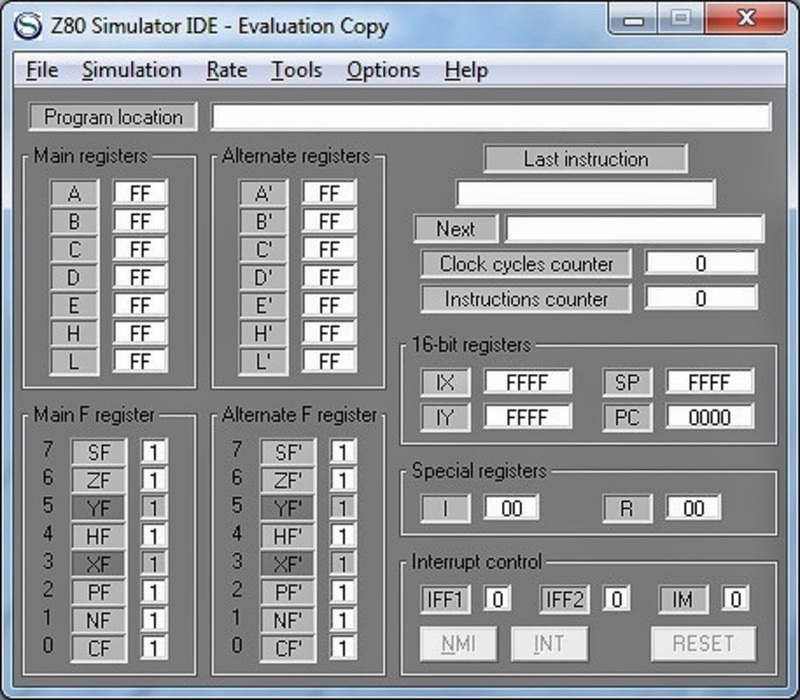 Launch Z80 Simulator, that is, double click z80simulatoride.exe. 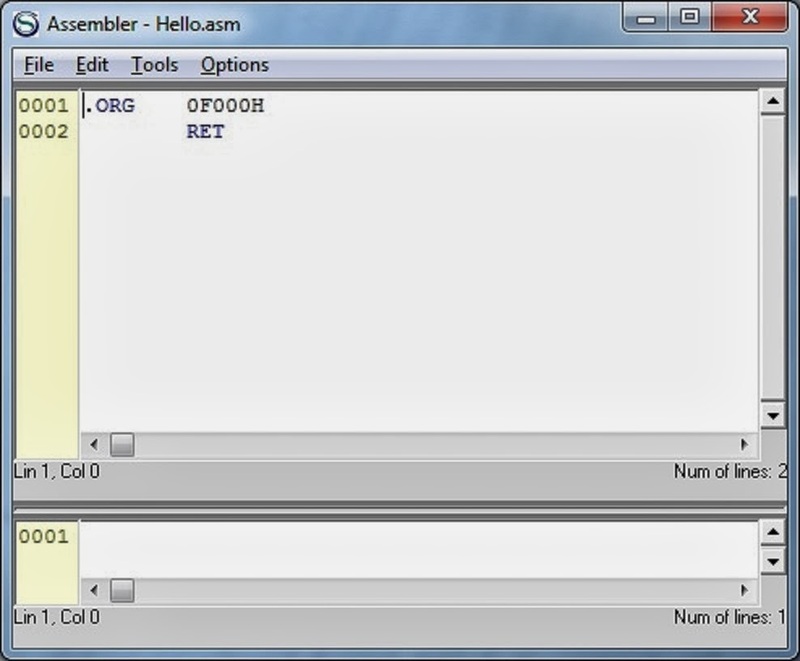 Open the Assembler: Tools menu, Assembler. 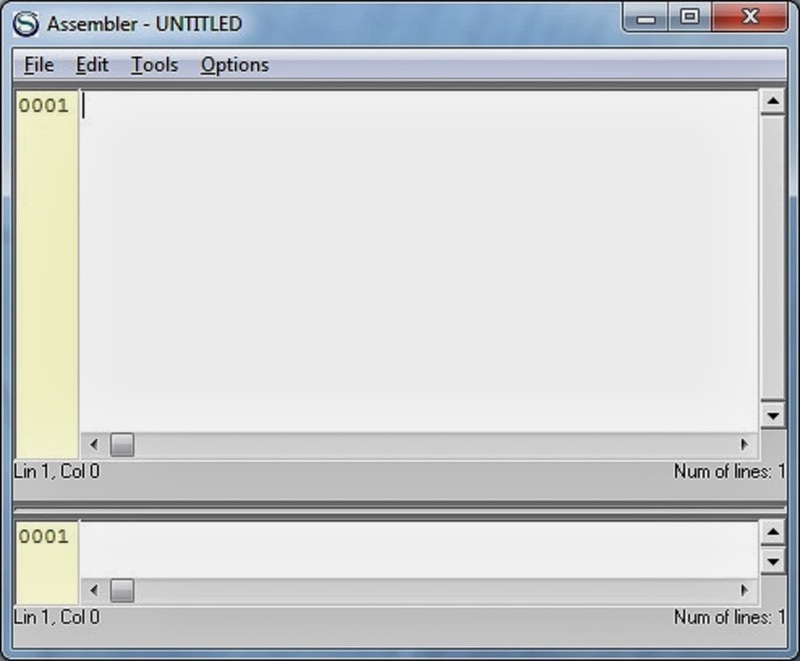 Create a new assembly file: File menu, New. Save the assembly file: File menu, Save As, Hello.asm. Generate the machine code: Tools menu, Assemble (F7). Note: the file that contains the raw binary data is stored in Hello.obj. Launch the Hex Editor, that is, double click HxD.exe. Open the binary file: File menu, Open, Hello.obj. Goto &HF000: Search menu, Goto, Offset: F000. 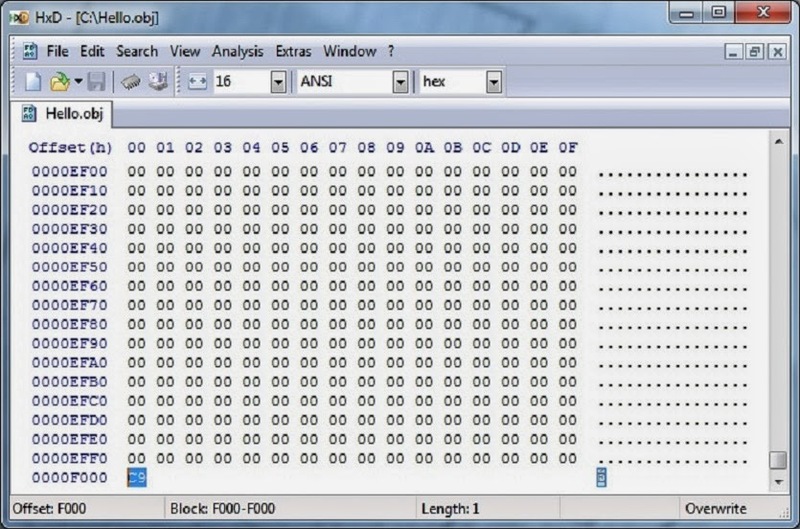 Inspect the 16-bit memory address at F000; the hexadecimal &HC9 is stored there. In the example, &HC9 in hexadecimal is the opcode for the RET instruction above. Select all machine code generated in Hello.obj, that is, from Block F000-F000 and copy (Ctrl-C). 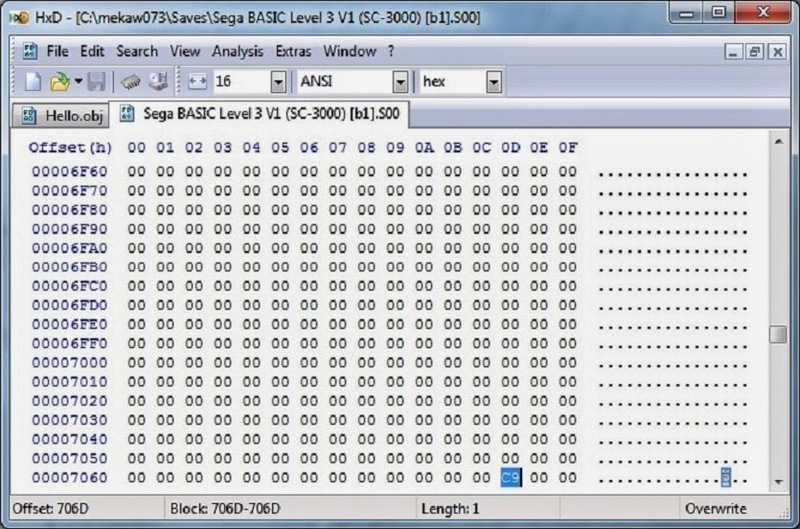 In the Hex Editor, open the save file: File menu, Open, Sega BASIC Level 3 V1 (SC-3000) [b1].S00. Goto &H706D: Search menu, Goto, Offset: 706D. Paste (Ctrl-V) machine code there, that is &HC9. Next, load file that was modified above to save machine code into RAM: Main menu, Load State. Inspect the 16-bit memory address &HF000; the hexadecimal &HC9 will now be stored in RAM there. Finally, type RUN again. On the surface, nothing appears to happen! Therefore, check out previous post for machine code fundamentals. However, write the main loop in assembly language and generate the machine code routines accordingly. The following code sample is reminiscent of the tutorial More on the Joystick and Machine Code Routine. Follow the tutorial closely to better understand what machine code instructions are required and why. Launch Z80 Simulator: double click z80simulatoride.exe. Open the Assembler: Tools menu, Assembler. CP 0FFH     ; any movement? LEFT:   CP 0FBH     ; move left? RIGHT:  CP 0F7H     ; move right? UP:     CP 0FEH     ; move up? DOWN:   CP 0FDH     ; move down? SHOOT:  CP 0EFH     ; press fire? Save the assembly file: File menu, Save As, Code.asm. Generate the machine code: Tools menu, Assemble (F7). Note: the file that contains the raw binary data is stored in Code.obj. 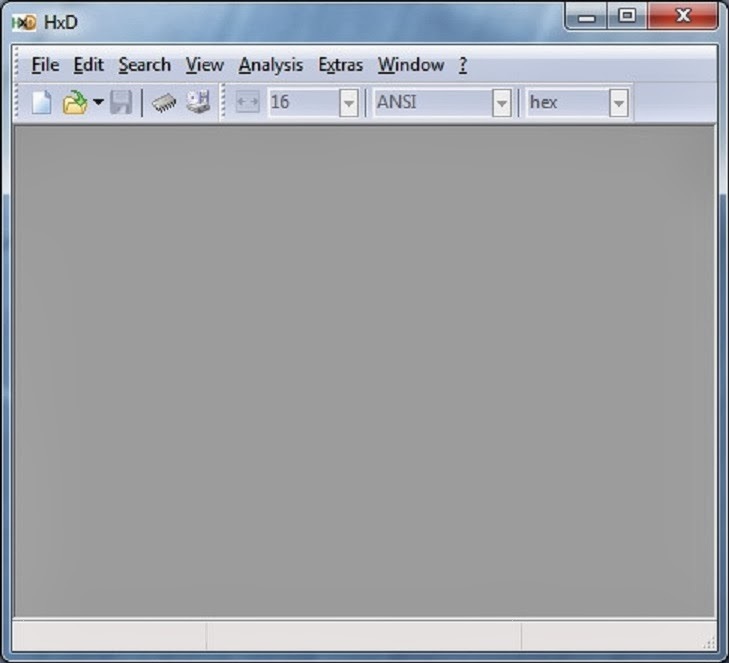 Launch the Hex Editor, that is, double click HxD.exe. Open the binary file: File menu, Open, Code.obj. Select all machine code generated in Code.obj, that is, from Block F000-F071 and copy (Ctrl-C). Goto &H706D: Search menu, Goto, Offset: 706D. Paste (Ctrl-V) all copied machine code there. Important: after load file, it may be necessary to soft reset emulator; press the "Scroll lock" key. Inspect the 16-bit memory address &HF000; all machine code copied will be now stored in RAM there. In this example, moving joystick left, right, up, or down moves sprite in that direction. Press fire to quit. 0006   F00A FE FB       LEFT:   CP 0FBH  ; move left? 0013   F01A FE F7       RIGHT:  CP 0F7H  ; move right? 0020   F02A FE FE       UP:     CP 0FEH  ; move up? 0027   F03A FE FD       DOWN:   CP 0FDH  ; move down? 0034   F04A FE EF       SHOOT:  CP 0EFH  ; press fire? 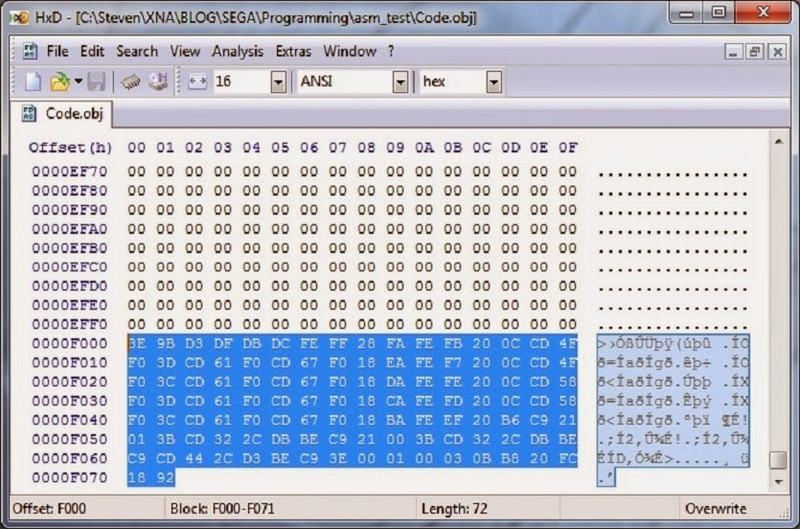 In this post, assembly programming was introduced to generate machine code to target Sega hardware. 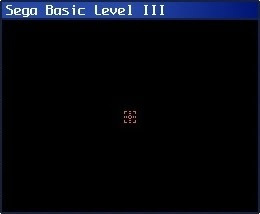 However, all assembly programming and machine code written thus far require a BASIC program driver; Cartridge-based video games built for 8-bit Sega Retro Gaming consoles were written in pure assembly! This can be resolved by using tools to write to SG-1000, SC-3000, and the Sega Master System directly. This will be the topic in the next post.